Welcome to my annual Smashwords year in review for 2016 and preview of the year ahead. I want to start with a big THANK YOU to Smashwords authors, publishers, retailers, library partners, industry friends, and Smashwords employees. Thanks to your trust, partnership and overall awesomeness, in 2017 we will celebrate our ten year anniversary in business. Thank you for honoring us with your support, hard work and friendship. 2016 was a challenging year in publishing for anyone with a pulse and a book to sell. The evidence is pretty compelling that most ebook retailers again suffered flat to declining ebook sales. For some analysis regarding the driving factors behind the market conditions, check out my annual 2017 publishing predictions post, also published today I share ten publishing industry predictions for 2017 and do a deep dive on some contentious topics. Each year thousands of new authors and publishers join the Smashwords community, so for those of you who are new to Smashwords, welcome! We look forward to supporting you for many years to come. For our new friends, a quick introduction is in order before we get started. I founded Smashwords almost ten years ago to make it fast, free and easy for writers to self publish ebooks. Our mission back then, as it still is today, is to provide authors and small publishers with the tools, knowledge and distribution relationships to reach more readers. In the nine years since our launch we’ve grown to become the world’s largest distributor of self-published ebooks with over 400,000 books published. At Smashwords, we love our authors and publishers. Many of us here are authors. We respect your hard work and we understand the tremendous passion and commitment that makes your publishing possible. Unlike vanity presses and even some of our contemporaries among ebook distributors, we don’t sell services, publishing packages or charge setup fees. We don’t accept payments from authors because we think the money should flow in your direction. We’re all about relationships at Smashwords, and I’ve always believed relationships are built on trust. We’ll never stop working to earn and deserve your trust and confidence. Books published - Smashwords now publishes 437,000 books, up 12.6% from 388,000, this same time last year. 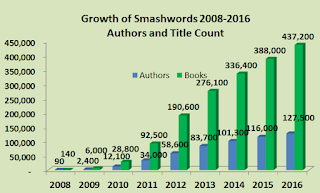 Words published - Smashwords now publishes 15.6 billion words, up 1.6 billion from the same time last year. Authors/pen names published - Smashwords now publishes 127,500 authors, up 10 percent from 116,000 authors a year ago. Profitability - Despite a challenging business environment, Smashwords had another profitable year. As I’ve mentioned in previous years, I view profitability a big plus for our authors because profitable companies are lasting companies. As a small company, our profits are modest by any measure, but I’ve always believed we should invest as much as possible back into the business for the long term. Smashwords is debt free and we’ve got a solid, fully funded balance sheet to cushion us and our authors against the inevitable ups and down of this hypercompetitive industry. Library ebooks a bright light – We’ve been working the last six years to open up libraries to Smashwords ebooks, and this work is beginning to pay dividends to our authors. We now reach most of the major library ebook platforms with OverDrive, Baker & Taylor Axis 360, Gardners UK, and Odilo. In 2016 despite lackluster retail sales, our library business showed promising progress with good sales increases over the prior year. Although library sales represent a small fraction of our retailer sales, I’m pleased to see the growth and I’m optimistic we can continue to grow our authors’ library business in 2017, especially as our newest partners hit their stride. Smashwords Alerts – In August we introduced Smashwords Alerts, a cool feature we’ve been developing for a long time that allows your readers to sign up for automated email alerts notifying them whenever you publish a new title. Revamped Payment Settings Page Enables Streamlined Tax Compliance – In what was probably our biggest development project of the year, we redesigned our payment settings page. It enables improved tax compliance for the large number of Smashwords authors and publishers who reside outside the United States. These authors and publishers no longer need to endure the US IRS’ convoluted process for obtaining IRS-issued tax identification numbers in order to obtain the tax treaty benefits of reduced tax withholdings. We also built and deployed systems to automate other tax compliance monitoring so authors and publishers are quickly notified if the IRS deems their tax ID information incomplete or inaccurate. Smashwords Coupons Gain Exciting New Features – One of the most popular tools is our Smashwords Coupon feature. For the last nine years, this industry-exclusive marketing tool makes it easy for authors to create custom coupon codes that readers, bloggers and book reviewers can redeem in the Smashwords Store. In 2016 we made a series of exciting enhancements including the introduction of metered coupons so you can set redemption limits (for example, to increase promotional urgency, you can configure your coupon to automatically expire after you’ve received a predetermined number of redemptions). We introduced descriptive campaign labels (makes it easier to track the performance of different campaigns), and this month we introduced another really cool feature that we haven’t even announced yet - public coupons where with a single click of a button you can publish your coupon codes directly to your Smashwords book page so readers are instantly aware of the opportunity to get a special deal. Give it a try! New retailer and library partners brought online – In Q4 of 2015 we announced new relationships with Gardners (a large retailer and library platform operator based in the U.K), Tolino (an operator of a large network of German retailers), and Odilo (an ebook platform for libraries). In 2016 all of these retailers came online with our books, albeit behind schedule. Now that these three new partners are up and running, we’re looking forward to working with them to grow sales in 2017. Improved Dashboard – We made updates to the Smashwords Dashboard to help you more easily identify ebook cover problems that can delay or prevent distribution. For example, cover issues are now clearly marked, at-a-glance, in the Dashboard’s Premium Status column. And in support of the new Smashwords Alerts feature, you can also easily monitor from your Dashboard the number of customers at the Smashwords store that have favorited you and the number that have subscribed to your automated new release alerts. Daily Sales Reports enhanced – We get great feedback on our Daily Sales reports, which presents attractive and easily customizable same-day and next-day sales charts aggregated across multiple retailers. In 2016 we enhanced the reports to capture a full 12 months worth of sales data, a big improvement over the prior 6-month data range. The charts make it easy to track and compare your performance across multiple retailers, and to track the effectiveness of promotional campaigns. Retailer Merchandising ramped up – We ramped up our retailer merchandising support to make it easier for the merchandising managers at our largest retailers to identify the hottest Smashwords titles and most anticipated new releases. By distributing a preorder with Smashwords, your book is eligible if it’s performing well. Hundreds of Smashwords authors benefited from our merchandising collaborations with retailers this year, and all without lifting a finger other than to distribute with Smashwords. Smashwords Enters Relationship with Happy Ever After blog at USA Today – To further support the success of our romance authors, Smashwords has formed a relationship with the Happy Ever After blog hosted by USA Today. Each week, Smashwords will supply HEA with the “Smashwords Hotlist,” featuring a selection of our bestselling romance titles, as well as our most anticipated upcoming romance releases. The titles are selected by the Smashwords merchandising team. Selections based on merit as measured by aggregated sales results across our distribution network. For a chance to make the list, publish and distribute with Smashwords so we can count your sales! This week’s installment of the Smashwords Hotlist, fresh out yesterday, features Jamie McGuire, Quinn Loftis, May McGoldrick, Cora Reilly, Chloe Walsh, Katy Regnery writing as K.P. Kelley, Justine Elvira, Ivy Smoak and Carole Mortimer. Check out HEA's 'Related' stories at the end of each weekly Smashwords Hotlist to view previous Smashwords Hotlists. Faster payment cycles – January will be our last quarterly payment round, after which Smashwords is going monthly starting in February. Yay! Thank you again for honoring us with your partnership. When you distribute with Smashwords, you directly support our ability to continue bringing you exiting tools and relationships to help you publish ebooks with pride, professionalism and success. Happy New Year! We look forward to working with you in 2017. So happy Smashwords continues to do everything it does. May 2017 be another great year with even more growth than expected! Sounds like an exciting upcoming year at Smashwords. Will there be a threshold to payments when they go monthly? Thanks for all you do for us authors. I love the public coupon idea! I'll give that a shot today. Monthly payments are great and will address one of the two big criticisms of Smashwords. Which brings me to Criticism #2, The Meatgrinder. Mandating ONLY (old) Word .doc files is going to become more and more of a problem as time goes on. PLEASE add support for .docx, .odt (Open Office/Libre Office), maybe even .rtf and Markdown. The problem with .doc is simple -- it has been abandoned. Google Docs doesn't allow you to save in this format, nor does MS Word online. Chromebook users have NO WAY to prepare files for Smashwords; Linux users can make do with LibreOffice and cross their fingers and hope for the best. I believe Android and iOS users are similarly out of luck. Allowing authors to submit .docx and .odt would make it much easier for a host of new authors to jump onboard ... and with (I suspect) a coming tidalwave of authors defecting from Amazon KDP Select, now might be the time to make it just that much easier to go to Smashwords (instead of Draft2Digital). I would imagine it would probably be easier to create a separate "PrePublication" service that converts .docx, .odt and .rtf into .docs, which can then be passed on to the MeatGrinder (that way the code can be separated and tinkered with to get good translations to .doc without worrying about integrating it into the Meatgrinder). 2.1 Likewise, it would be wonderful if .epub submissions were updated so that readers could preview online, read online and perhaps even offer authors the option of "Meatgrinding" epubs to produce .mobi, .txt, PDF, etc. 2.2 It would be even more awesome if you could produce a streamlined, official "Publishing with Smashwords Guidebook" that was just a few pages -- leave the current 28,000 word guidebook as is, but add a short (5-10 page) "QuickStart Guide" that emphasizes the basics -- define your styles (Normal, Heading 1, Heading 2, etc. ), here's how to do your TOC, GO!!! 2.3 Maybe offer an online "ebook builder" service that allow authors to paste in plain text or basic Markdown, define their styles online and the book is created for them. Basic Markdown is REALLY simple. 2.4 Maybe put a "How to Read Smashwords" Ebooks link front and center on the homepage, right up next to the logo ... revise the current section in the FAQ so that it breaks down by OS, then you can make recommendations for ebook format and which programs to use ... this would make the "How to Read" section a lot more "newbie" focused, since those are the only folks that need the help. Echoing Jill's question about payment thresholds. Thank you for your efforts on our behalf --- just because we are a bit quiet, don't think we are not appreciative. Last year i started doing free 'writer's workshops' at libraries and elsewhere and I'm amazed by the response. There are a lot of people out there who want to get their words into print (so to speak) .Naturally, I give them your details because you have been a big part of my development as an author. All some people need is a little help --- someone who has been there before them to show them the way. Thanks again. Thanks for these great news.....much appreciated. How about also helping Authors in the promotion of their books....by trying to attract more readers to browse the Smashword website to buy their books??!! Maybe more promotion is required by smashword about their website? all in all ...thanks again for your valuable service. 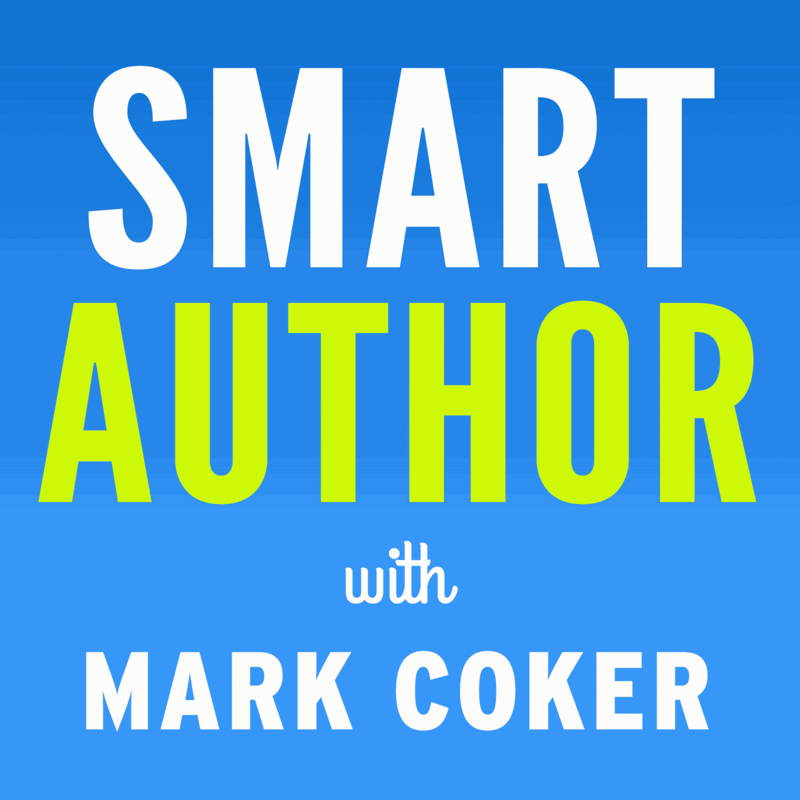 In order to truly help authors connect with readers, it is imperative to connect with professional reviewers. If Smashwords can entice professional reviewers to choose books from the premium catalog and speak of those titles to readers, it will certainly draw more attention from other publishing platforms. 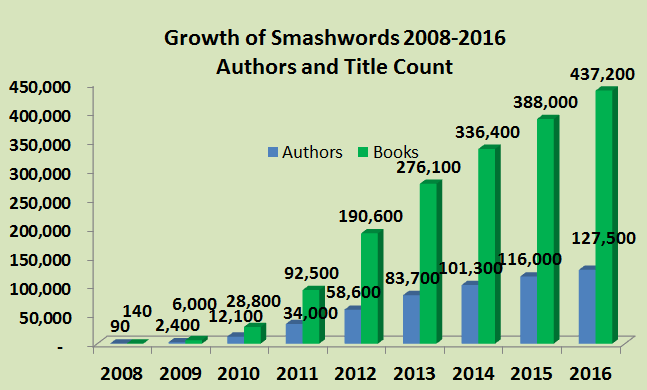 There are still millions of reader who don't even know Smashwords exists, and that's a problem for everyone. Other than that, I'm glad to be here and am excited about the new year. Thanks, everyone. Thanks, as always, for a great overview. I'm particularly excited about the public coupon option, as sometimes these things get lost in the social media shuffle. Great update and looking forward to the new year. I would also like to agree with billsmithbooks, in their notion of expanding what can be uploaded to meatgrinder. I'm a comic artist and I wish I could upload the single images for the pages and have it spit out a good ePub file. Pasting images into a Word docs has all sorts of complications. It's a big ask I know but it would be great for us comic artists. Quarterly payment instead of monthly was one of three big reasons I left Smashwords. Glad to see you're joining everyone else on that front. Finally. You say Smashwords has a commitment to authors and improving the experience. Yet I see NOTHING about an update to Meatgrinder. It's the most outdated conversion engine in existence and is the biggest reason I'm not coming back to Smashwords even though you're finally moving to monthly payments. As BillSmithBooks said, the DOC format is outdated. It's also the single reason the style guide exists. Abandoning that format, or opening Meatgrinder up to other formats, would make you relevant again to those indies like me who are a bit more techie. I'm a LibreOffice user. When I had a Smashwords account and I forced myself through the unbearable headache of using Meatgrinder, my LibreOffice produced doc file had ZERO of the formatting issues the style guide addresses. The third reason I left Smashwords are the ridiculous limitations on which stores I can get access to when I use my own epub file. I'm a very very very happy Draft2Digital user. Smashwords as a company, as a conversion engine, and as on the customer service front, can't even come close to what D2D is doing. I also noticed many of your new features are things D2D has been offering for over a year. While these updates are long overdue, it's still too little too late. I see nothing worth the headache of coming back. Not to mention, I also really did not appreciate it when my email address was used for Mark Coker to send out messages urging me to take a particular political stance. That was the last straw and I had all of my account information deleted from your system. Re: MS DOC format - Smashwords is a portal for anyone in the world to use, and while certain parts of the world are always ready to jump on new tech and programs, there are LARGE parts of the world still using older operating systems and programs. Ask Microsoft about what they still have to support out there. Formatting for Meatgrinder has never been a headache for me personally. I've always written in a way that happened to sync with the Style Guide. The only thing I had to eliminate from my oldest files were Tabs, and done. Because readers read on all kinds of systems in all kinds of their preferred ways, trying to be fancy with your e-books is really a waste of time and therefore money. Make it clean and simple and move on to what actually sells books. Another distributor/publisher of eBooks has bitten the dust. All Romance eBooks has gone belly up as of the end of 2016, adding to the string of publisher demises in recent years. If you haven't already, perhaps you could expound on the problems these closings present for indie authors. Thanks for the comments and requests. @Jill James and Gabriella - the PayPal threshold which is currently $10.00 will be reduced to one penny. Check thresholds TBD, but may not change from the current $75.00. If you're on paper checks, now's the time to switch to PayPal. We'll announce finalized details later this month. @BillSmith, I'm with you on all these opportunities to enhance our conversions. We're definitely looking at everything. @Joel, more granular pricing control is definitely something we're looking at. If you have specific needs on this front today, contact our support team and they can get it set up for you manually. @George, our new features on Coupons and Smashwords Alerts are certainly a step in the direction you're requesting. And over the last two years we've made a lot of improvements with enhanced filtering and discovery options. You'll see more here. @Donald Roberts, yes, right on. @Anthony W, as a comic artist I wonder if you might have better results designing your own custom epub in one of the many epub design tools, and then you can upload that epub to Smashwords. That's the best option for books like that with special needs that aren't easily satisfied with Word. Word is best for reflowable narrative fiction and nonfiction. @Rachel LS, if you design your epubs, we've offered direct epub upload for several years now. So that might be a better option for you. Re: limitations on distribution based on your epub file, can you elaborate? Assuming a file is EPUBCHECK compliant with good formatting, all our retailers will take it with rare limitation. Some retailers and libraries will refuse certain categories (like erotica or extreme taboo erotica) but that's usually the only limitation. Whether you come back to Smashwords is certainly up to you. I hope you come back. We can help you reach a lot more sales channels including libraries, and our small Smashwords store offers the highest royalty rates at up to 80% list backed by exclusive tools to support custom promotions. Regarding the political stance, I assume you're referring to the 2016 Cuba petition I helped organize along with Publishers Weekly and many others in the publishing industry. The petition was a chance for indie authors to speak out on behalf of fellow authors and readers in Cuba. Polls show most Americans are in support of an end to the embargo, though I understand it's a polarizing topic and there are arguments to be made on both sides of the debate. Sorry if it rubbed you the wrong way. @KC Taylor, great to hear. A lot of people appreciate Meatgrinder for the reasons you cite. Like most things in life, once you know how it's easy. But I do hear the critics. We've got a lot of ideas for how we can make it even easier. 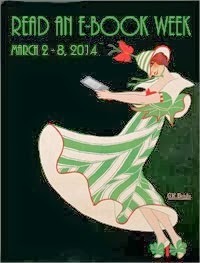 Libraries in northern NJ are changing their vendors for e-books. BCCLS the north Jersey consortium is moving away from OverDrive toward I-Cloud. Don't know how that is going to work. Is Smashwords a supplier for I-Cloud? BELS, the consortium for north Jersey schools, uses Follett for e-books. I have been told that Smashwords has a contract with Follett, but no books have been sent to Follett. When will that happen? I am trying to set up a process where local American Legion Posts can easily donate an e-book (My Heart, Daddy's Heart, The Purple Heart) to their local library and school libraries. So far it has be frustrating as Smashwords has not delivered to Follett and I don't know if Smashwords supplies I-Cloud. Two years ago, when I was using Smashwords, the stores I wanted to distribute to (and I don't remember which ones they were, except for OverDrive) would not allow me to use my own epub. I wanted access to OverDrive and some of the smaller stores that are now out of business. Since Kobo's parent company has bought OverDrive, I'm waiting to see what they're going to do in regards to getting indie books into it. I know the Writing Life team is running some beta stuff and getting very promising results. If I can get into OverDrive through Writing Life or D2D's Kobo contract, I'll totally do it. I love working with those people. And yes, it was the Cuba thing. I have my own opinions about it all, and I cannot express in polite terms how furious that email made me. I found it an abuse of trust in giving Smashwords my information. I was also shocked to find out my account hadn't been deleted, as I'd requested at least six months before the email was sent out. I also found that an abuse on my trust. My one and only payment I ever received from Smashwords was six months late. And it took me getting rude and borderline nasty before it was resolved. I also find the website and dashboard interface less than intuitive and poorly designed. For me, the frustration outweighs the benefits. So long as the site remains the way it is, I won't be coming back as an author. It even frustrates me as a reader and I refuse to shop there. Just wanted to leave a positive note because I realized that you had done away with the thresholds when I received $3.86 as one of my author payments a few days ago! Thank you SO much for doing that. I know there is a sacrifice in that Smashwords might be taking a bite in PayPal fees. Believe me, it's a very good thing for authors who might have one particular pen name that doesn't do very well, and who would otherwise have to wait months and months to meet the $10 threshold. I really am grateful for this change. All great things! Though I wish Smashwords would do more for non-romance authors and midlist rather than just best selling. Some midlist *could* become best selling with a push, but they don't get one. And before anyone replies to me, I don't mean myself, as I am sadly not even a midlist, lol! But I do have authors friends who are, and could really use a nudge, instead it's the authors who are already doing incredibly well who get yet anther nudge. I get it from a business perspective: they sell better, so push them more because it's guaranteed more sales, while a midlist is not, but it would still be nice to see something done - like a Smashwords undiscovered gems feature or something like that - books with good reviews and consistant (albeit not earth shattering) sales. Also, it would be awesome to see some support for mailing smashwords books a reader purchases straight to their kindle. I have talked to a lot of readers who won't buy from smashwords (or even download the freebies!) because of the extra steps to get it to their device. Right now when we buy a book we have a download option and on online reader, but why not a "Mail to" option? They could enter their kindle email address, and email the file straight to their kindle - or even email it themselves and then forward that on to their kindle. Or does this have some kind of Kindle ToS issue to it (It may well, I know how amazon likes to be a pain)? At the moment I download the book files, then email it to my kindle from my laptop, and they work just fine, so unless Amazon is standing in the way of this (which again, they may be) I think it could really help. I've also never had a real "headache" from meatgrinder and find it very convenient and easy. I've had a couple of issues in the past with the epub having errors on documents I was helping someone else with, and smashwords support has always been very helpful with them. Every time I have had issues, it has been a problem with the document itself, not meatgrinder. I can't thank Smashwords enough. You folks are the BEST! I have been listening to your YouTube videos. Keep making those. They are a great teaching tool for all of us struggling indie authors. I recently made all the 1st books in my three series Free and they are already walking off the shelves. Thank you for all you do for us. Aaron, I'm removing your question. This isn't a good place for support inquiries, and without your real name and account information, I can't help you here. Today is the third day in a three day holiday weekend. If you contacted our support team over the support form, I'm sure they'll respond soon with a better prediction for when the money will credit back to you. I'm a little confused. Smashwords has stated that they do not distribute to Amazon because Amazon does not have a bulk-load mechanism. Is that still the reason, or is it because SW doesn't like Amazon's business practices? Either way it's their choice, but I'm wondering if I'm still waiting for this to be resolved or if resolving it isn't a goal anymore. Either way, you guys are great and I love the Meatgrinder! Hi Stacy, for many years now we've distributed a small number of titles to Amazon, but the reason we don't offer distribution there for our entire Premium Catalog is Amazon's failure to provide their once-promised bulk upload mechanism. As a distributor, our business is all about enabling of success of our retailers. As I've expressed to Amazon's executives in multiple meetings over the years, we'd love to support them too. Amazon's a strange beast because unlike other retailers, they view distributors and even publishers as competitors. At www.smashwords.com/distribution you'll find information on how to request Smashwords distribution to Amazon. Thanks! Thanks Mark. Hopefully Amazon will set up such a mechanism someday. I'm not familiar with bulk-upload processes, but I am wondering (and forgive me for asking) why other ebook distributors (Bookbaby, Lulu, Streetlib, etc., can list on Amazon. Maybe they have access to specialized systems that are not appropriate for Smashwords, or they have a way to bulk upload files by automated posting through KDP's web interface? I'm just guessing. I'm asking for purely personal reasons: in my perfect world I'd have Meatgrinder and Amazon distribution, too. Totally agree about plain text & ebook builder function. If plain text format isn't available by now (June 2017), I'd be willing to help find a resource. Being dependent on .docx format seems limiting.